Sometime after the end of World War II U.S. Navy Fleet Admiral Chester Nimitz was asked whether the attacking Japanese forces made any mistakes in the planning and attack on the U.S. Pacific naval anchorage at Pearl Harbor, Hawaii. 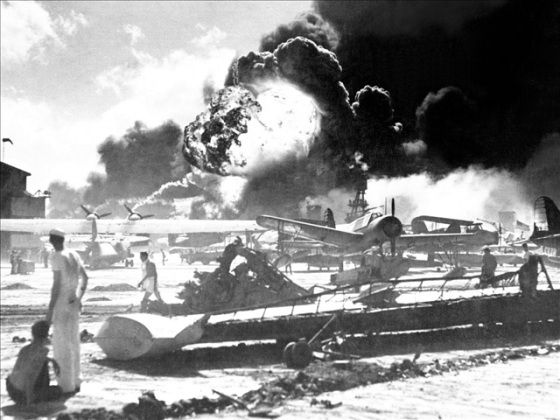 The Japanese attacked on Sunday morning. Nine out of every ten crewmen of those ships were ashore on leave. If those same ships had been lured to sea and been sunk–we would have lost 38,000 men instead of 3,800. When the Japanese saw all those battleships lined in a row, they got so carried away sinking those battleships, they never once bombed our dry docks opposite those ships. If they had destroyed our dry docks, we would have had to tow everyone of those ships to America to be repaired. As it is now, the ships are in shallow water and can be raised. One tug can pull them over to the dry docks, and we can have them repaired and at sea by the time we could have towed them to America. And I already have crews ashore anxious to man those ships. Every drop of fuel in the Pacific theater of war is on top of the ground in storage tanks five miles away over that hill. One attack plane could have strafed those tanks and destroyed our fuel supply. That’s why I say the Japanese made three of the biggest mistakes an attack force could make, or God was taking care of America.